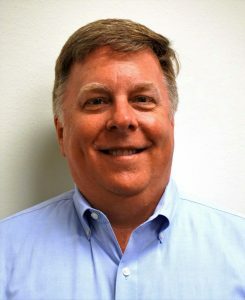 EMSNow was able to connect with Virtex CEO Brad Heath on the company’s recent acquisition. 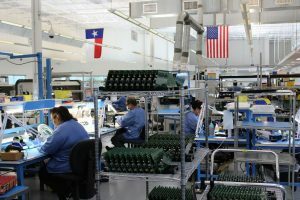 VirTex Enterprises (“VirTex”), a vertically integrated electronic manufacturing services provider headquartered in Austin, Texas, recently announced the acquisition of PPI-Time Zero (“PPI”). The company features over 100,000 square feet of manufacturing space with the ability to produce both complex electronic components and complete systems for customer platforms with volumes ranging from prototyping to full-scale production. EMSNow: This acquisition seems to make Virtex more robust in the sectors in which you operate and especially aero/defense. Was this an important consideration for you? VirTex is very focused on increasing our footprint and capabilities in the aerospace and defense market. With Texas being the third largest area for A&D in the country, we felt that the lack of a strong multi-site provider in the region plays to our strength. Since most of the A&D OEMs are multi-site, we felt it was important to being able to serve them locally as well as nationally. EMSNow: With this acquisition you now have a footprint on the East Coast where many aero/defense and medical OEMs operate. How did this figure into your decision? We added a strong company with several locations that complement our existing geographic footprint well. This allows us to increase regional presence in many important areas that serve the medical and A&D markets. We already had strong sales reps in those areas and this just simplifies things for the customers that they have been calling on. PPI appears to have a strong management team. What are you plans for the integration of this company into Virtex? Our integration plan is similar to what we have done with other acquisitions. Support the customers with the people, teams and services they have been accustomed to, add new services to existing customers of both companies, and share best practices so that all of our customers experience is improved. With this acquisition, we picked up some amazing in house engineering design and development services, wire and cable harness assembly, and precision machining. All of these are services that we previously outsourced and now look forward to expanding with the help of the team we acquired from PPI. EMSNow: Virtex has a facility in Juarez, whereas PPI did not have any facilities in low cost regions. Considering PPI’s customer base, what impact do you see this acquisition having on your Mexico facility? There is a similar strong interest from PPI’s existing customers and potential customers to have a low cost region capability. While not all of the customers are at that level in their growth plans, it is important that there is a solution in place when they are ready. It is much easier to move facilities with your current provider when you can keep the same team. VirTex believes is managing locally, even when we are building in another facility like Juarez. Our customers, and PPI’s customers would much rather deal with the team that has grown with them than an unknown company overseas. We are also seeing continued interest in moving work on higher volume lower cost program back from China due to tariffs, IP concerns and supply chain risks. EMSNow: What impact if any will the tariffs have on your strategy going forward? We are looking at solutions including importing through Mexico, where the tariff would be less and other solutions like free trade zones. In cases where neither of these approaches work, we are using software solutions to identify alternatives that are not subject to tariffs and moving to supplier partners who are charging lower or no tariffs. The bottom line here is that we are working hard to minimize the impact on our customers so that they can maintain the same level of profitability. We are in this together. EMSNow: Have you felt the impact of the component shortage and what are you doing to mitigate it? We’ve been working with our customers and supply chain to use longer term forecasts and bonding and stocking arrangements to minimize the impact of the shortages. I am happy to say that our customers have not suffered a drop in on time delivery. Our supply chain partner have stepped up their efforts as well to maintain the on time delivery targets we expect. EMSNow: Is there anything else you’d like to tell EMSNow readers? VirTex is on an aggressive growth path to expand the products and services that we offer our customers. We continue to believe that the high mix low volume market is underserved by Tier 2 and 3 EMS companies who have an interest in providing flexible and scalable solutions. VirTex is committed to supplying the end to end services our customers need, with the superior execution they expect and we look forward to expanding this with the acquisition of PPI Time Zero.